Wedding flowers have taken a big turn by mixing succulents into the big day, and we are loving it! Whether you are using succulents in your bouquets and boutonnieres, your centerpieces and décor, or even as place cards and favors, succulents have shown to be cute in every way. There is so much variety when it comes to succulents and they are available year round. Another great thing about succulents is that they’re eco-friendly; after the wedding, they can be replanted so you’ll be able to keep a piece of your special day in your home! 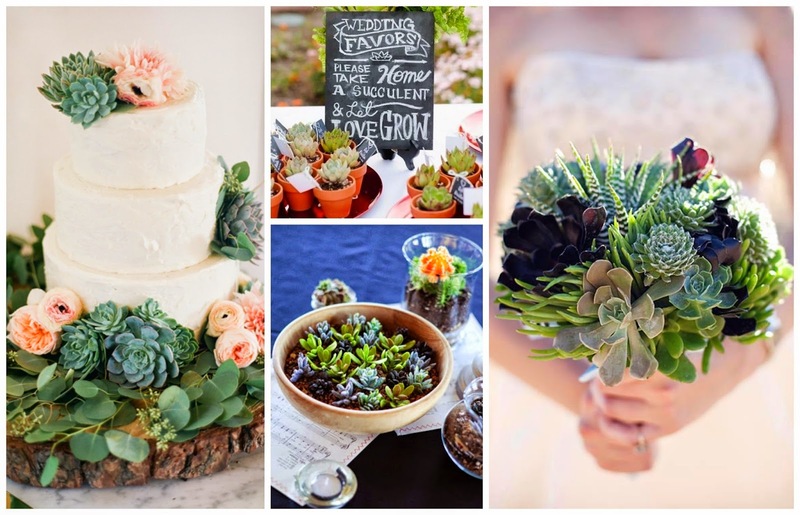 Are you planning to incorporate succulents into your wedding day?